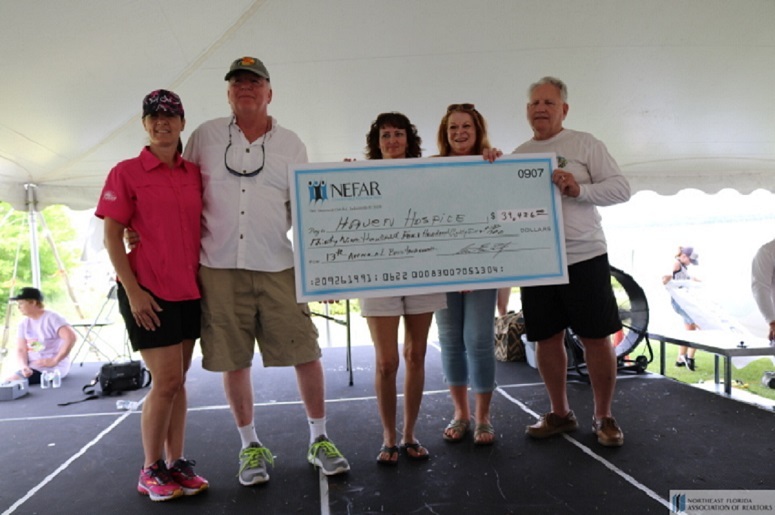 For the fifteenth consecutive year, the Northeast Florida Association of Realtors (NEFAR) will raise funds for Haven Hospice Roberts Care Center in Palatka through a catch-and-release Charity Bass Fishing Tournament. NEFAR donates one hundred percent of all proceeds raised to the Care Center, with approximately $324,436 having been donated over the past fourteen years. On April 28, 2018, two-person fishing teams will leave the Palatka City Dock at safe light with weigh-in scheduled for 3 p.m. Teams compete for prizes, including a $7,500 guaranteed payback for first place, $3,000 guaranteed payback for second place , $1,500 guaranteed payback for third place, $1,000 guaranteed payback for the tournament big bass and $500 guaranteed payback for second big bass for the tournament and more. A $250 cash drawing for tournament boaters who are present immediately follows the Tournament. Savannah Bell, NE Fla Assoc of Realtors, Inc.
Celeta McClamma, NE Fla Assoc of Realtors, Inc.